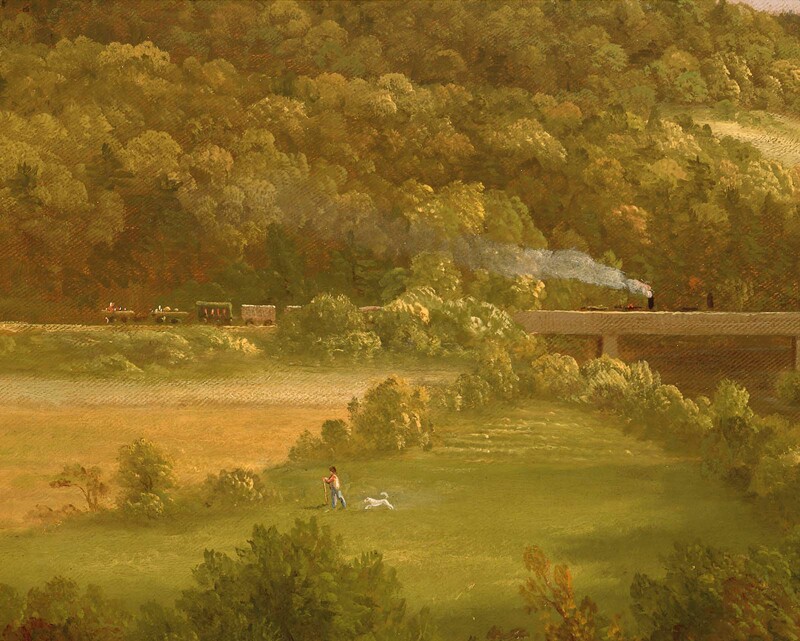 What was the first appearance of a train in a painting? Most people know Turner's Rain, Steam and Speed (1844), which is the earliest example listed on a Wikipedia page dedicated to railways and art. 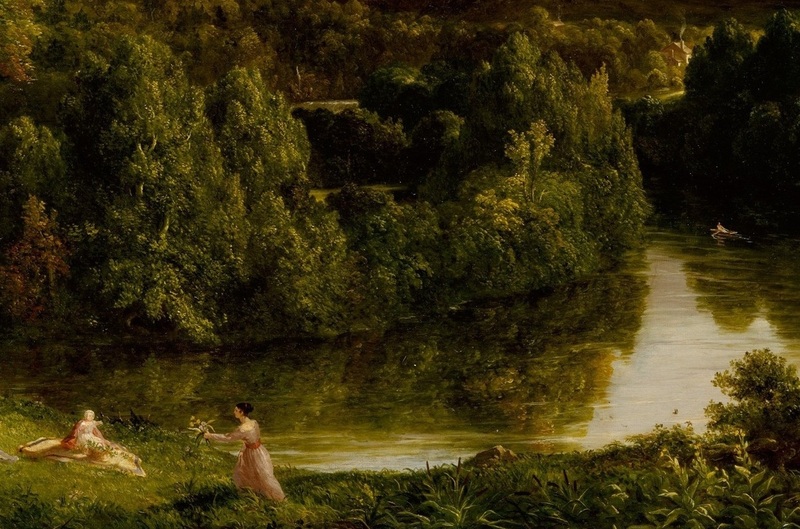 However, visitors to the National Gallery's Thomas Cole exhibition will see an earlier one in the painting reproduced above, River in the Catskills (1843). At the scale you're reading this you probably can't see the train, just a faint puff of steam in an idyllic landscape. But the railroad is in place and there are other signs too that the landscape is being changed - in the foreground men are chopping down trees. 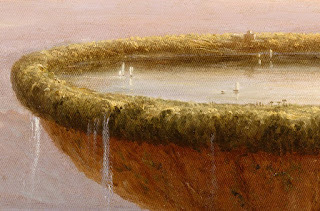 At the exhibition this painting is juxtaposed with a similar view painted in the 1830s, showing a vision of America unsullied. A baby reaches for the bouquet of wild flowers her mother has picked and on the gentle river an Indian canoe suggests a world of harmonious coexistence. However, as the curators point out, not everyone regretted the way things were going - there is a third view of this river by Asher Brown Durand, painted in 1853, with unmistakable signs of alteration and 'development', entitled Progress (The Advance of Civilisation).